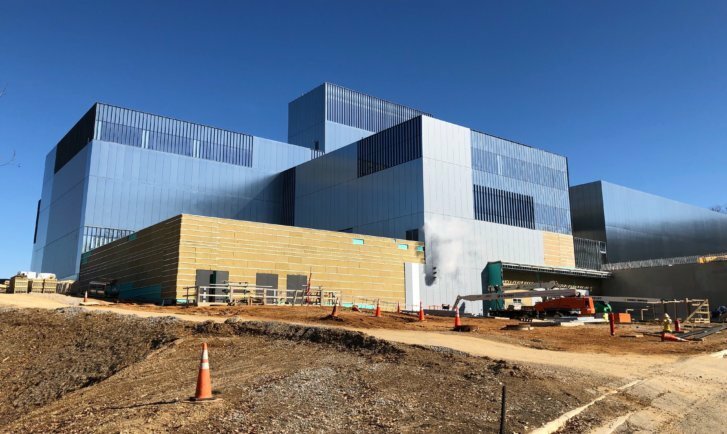 With doors expected to open in 2020, the National Museum of the U.S. Army is coming together on the grounds of Fort Belvoir, Virginia, filled with historical artifacts and immersive exhibits. Get a sneak peek. Space covering more than three football fields will feature immersive, interactive experiences and actual artifacts such as Civil War cannons and World War I tanks. Exhibits and theaters will help visitors feel as if they’re part of the action. Walking directly over foxholes in the immersive World War I experience, artillery explosions will sound with flashes of light. In the Army theater, seats will rumble as tanks are shown passing over desert sands and wind will blow your hair as helicopters fly overhead. The museum is a work-in-progress with exhibits being built around larger artifacts, some not visible through protective wrapping. On Thursday, a UH-1B Iroquois “Huey” helicopter was lifted to the ceiling of the museum’s historic gallery section using an elaborate system of chains and pulleys. The chopper suffered combat damage during its 1965 to 1973 tour in South Vietnam before being brought back to the States. A learning space designed for youngsters will help students develop G-STEM skills as they work in teams to complete Army missions. The museum hopes to also entertain the very young. “We have a little playground we call Fort Discover,” Jennings said, emphasizing that the museum should prove interesting to all ages. “Everyone can come here, have fun and learn something,” Jennings added. There’s no set date yet for the museum’s opening in 2020.